With a 5.3 inch screen, 554 ppm pixel density, Qualcomm Snapdragon 820 chipset processor and Android Marshmallow running at full power, the LG G5 is a truly impressive phone. If you want to use the G5 on a different networks, you likely need to unlock the phone. This cuts off the service provider’s connection and allows you to take it with you to a different network. 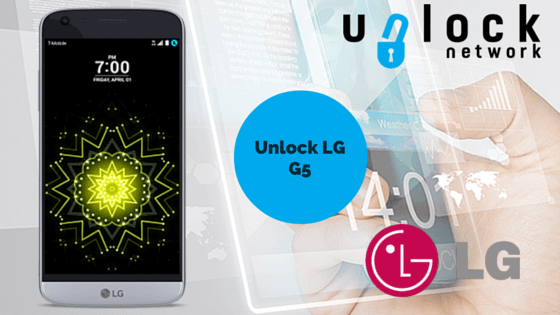 The LG G5 is one of the latest smartphones to hit the market. While available on most wireless carriers such as Verizon, AT&T, T-Mobile and others, it may not be available on other carriers. To open the phone up and allow it to function with a new carrier, the best way to unlock the device is with the aid of an unlock code. You may need to take advantage of a remote unlocking service instead of just an unlock code. T-Mobile in the United States uses a specific locking application on the phone that prevents a code from working. This means it requires a manual hard reset and the code will not work. When this is the case, it is necessary to use a third party service provider to unlock the phone. If you use any other carrier though, you won’t have a problem. First, you need to obtain the unlock code. You receive this from Unlock Network, where you pay a few dollars for the code. The override code is specific to just your phone. First, you need to determine the IMEI. To find this out, dial *#06# on your phone or remove the battery and look on the sticker found under it. Provide this information when requesting the unlock code to receive the appropriate code for your device. With the phone unlocked, your mobile phone will now obtain all necessary service information from the SIM card. This basically informs the phone of your wireless carrier and your phone number. So, if you are traveling internationally and what to use the same phone but have a different number (as it is typically cheaper), you can simply power down the phone and insert a new SIM. With the unlocked LG G5, you have no boundaries and can take it anywhere you want to go.